SOLD OUT. Please register to the waitlist and we will notify you if the spot becomes available. The main focus of this expedition will be Arctic winter light, landscape, and wildlife. In April the light conditions on Svalbard are magical. The length of days during our expedition increases dramatically for 30 minutes a day and by the end of our trip, there will be 24 hours of daylight. Sun is still very low in the sky and golden light continues for hours. This gives us the chance to photograph landscape and wildlife in perfect light conditions. Some fjords are frozen this time of the year and we will look for polar bears on the fjord ice in front of snow-covered mountains and blue glaciers. Reindeers and arctic foxes are in winter coats, seals and walruses are resting on the ice and birds are beginning to return to breeding grounds. Usually winter trips to Svalbard are limited to one-day snowmobile trips close to the city of Longyearbyen. With our ship of the expedition we will explore a much larger area, including the western and northern regions of Spitsbergen. Those who have already been to Svalbard will get a new experience of traveling to the winter Arctic, which is quite unlike the one at summer and more exciting. This wildlife and landscape photo tour will be an unforgettable voyage and spectacular experience for you. This exclusive expedition is designed for a strictly limited number of only 12 participants, photo guides and the expedition leader, and we kindly recommend an early booking to secure your spot. A high Arctic archipelago situated between Norway and the North Pole, Svalbard is a place of deep fjords, snow-capped mountains, massive sheets of ice, and magnificent polar bears. Travel under the midnight sun aboard an arctic classice-strengthened M/S Malmo in a small group, strictly limited to 12 guests, and search for the very symbol of the Arctic—the Polar bear — and observe these majestic creatures in their natural habitat. The combination of a comfortable ship, the crew that has already made dozens of expeditions in this region, an experienced captain who knows how to approach the animals taking into account ice situation and light will give us many chances for an unforgettable hunting with a camera. Everything else is in the weather’s hands. The whole ship is at our exclusive disposal and we decide where and how long we can stay and when to dine. We use 2 zodiacs (6-8 people per boat and not 12-14 as on standard cruises) to shoot wildlife, icebergs and landscape from the water and to go ashore. 2 armed guides travel with us in case of meeting the owners of the Arctic – Polar bears. So if anybody wants to shoot landscape from the shore, there will be such opportunity. One of the main topics of our trip is wildlife in the context of dramatic Northern scenery. Nothing can prepare you for Svalbard. It is an incredible wilderness at the top of the world, a wildlife photographer’s dream and our goal during this photo safari is to photograph and experience as much of it’s beauty as possible. From polar bears and walruses to arctic foxes and whales, this photo safari promises not only unbelievable photo opportunities but memories that will last you a lifetime. So get your cameras ready – we are going to Svalbard! M/S Malmö has been in service for the Swedish Maritime Administration for many years as an ice-strengthened pilot ship. 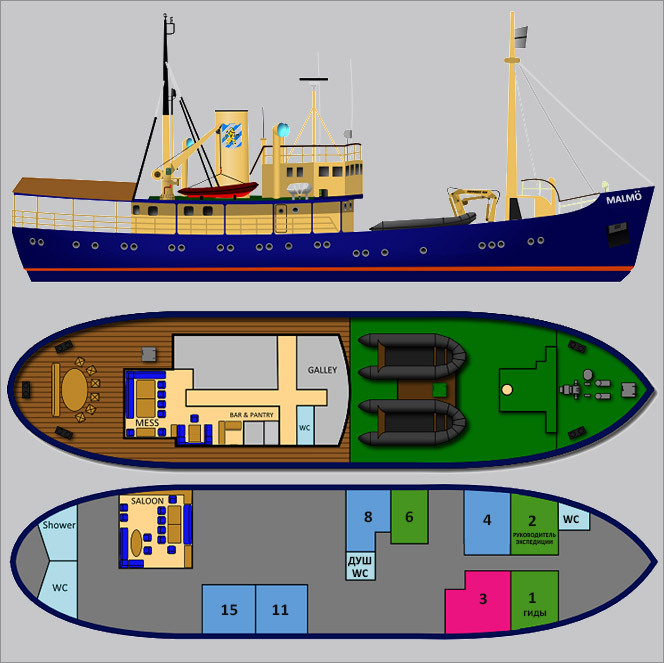 She was built 1943 in Helsingborg shipyard for the Maritime Administration and has been used as a mooring service vessel for laying out buoys, for marking of fairways, refueling of Kasun light houses with oil and water, for transport of acetylene to gas light houses, and also for ice breaking and pilot training. This ship has a lovely patina and has been listed as a traditional ship of cultural value since 2004. During 2013/14 she was gently refurbished to retain her original charm. New navigation and safety equipment was installed and the vessel has passed all necessary inspections and safety checks required. M/S Malmö is a homely ship of maritime historical dignity, already loved by many. She is decorated in a classic style with an old fashioned Captain´s lounge and beautiful wooden decks. A perfect ship for a small group of photographers that need a lot of deck space. The ship was reequipped for charter expeditions in 2013. After the re-equipment a cozy dining room with a small bar was added, the majority of the cabins were equipped with a shower and WC. At the same time Malmo managed to preserve its out fashioned charm and fascination. In 2014 the boat began its new career as an expeditionary ship in the Arctic waters. An experienced Swedish team and a captain, that made hundreds of expeditions on the boats of the similar class in the waters of Svalbard, will make our voyage safe. At the same time our sea-dogs didn’t lose curiosity and hunger for adventure! Comparatively low vessel draft allows us to sail into fjords and bays that are closed for big cruise ships. In such places we can unite with wonderful animal nature of the archipelago and to make unique photos! Low Malmo’s sides and vast decks allow us to make photos from the right angle shooting animals even from the ship. That allows curious bears to come close to the ship and allows us to be safe at the same time. All illuminators in the ship’s cabins can be opened giving us unique shooting possibilities. European cuisine is tasty and various on board. You can always have tea, coffee and drinks from the bar. We won’t go (or almost won’t go) to the touristic sights such as the remnants of wintering unlucky explorers. There will be no crowds of tourists in red jackets in your viewfinders and nobody will scare away our funny walruses! We have favourite places on the archipelago, and always try to visit them. Nevertheless, the route depends not only on our desires but also on the current ice situation, the latest data on the whereabouts of animals and never repeats exactly. Today we arrive to the capital of Svalbard – Longyearbyen. We will meet you at airport and transfer to hotel in Longyearbyen. It's possible to arrive on April 10th just before ship will leave the dock, but we advise to come on April 9th, get acclimatized, walk along the cozy streets and buy some souvenirs and “T-shirt with bears”. Longyearbyen is Northern-most capital in the world and the weather is moody here - so it’s better to play safe. The first night accommodation in Longyearbyen is included. You can photograph landscape, arctic foxes and birds around Longyearbyen in the morning. We board our expedition ship at 4 p.m. and our Ice Odissey starts! This evening we drift along the splendid Ice Fjord. We are in the Arctic - the part of the world where everything is under ice movements’ and weather’s control. Our precise itinerary depends on many factors – bears’, walruses’, birds’ and other animals’ location and activity. The main goal of our expedition is to see and photograph wildelife and lanscape of Svalbard. We will plan our route taking into account our captain’s opinion, the weather, ice conditions and information from other ships in the area. In the history of our voyages to Spitsbergen the route never repeated. We’ll explore Western and Northern parts of the archipelago and if the weather conditions are fine we probably sail round its Northern part. We’ll also find time to discuss our footage and to listen about walruses and seals. Today we sail in Longyearbyen direction. We stop on Alkehornet point where we may see Arctic foxes and deer. The last stop (on the participants’ request) we do at Arctic Coal trust ownership, Barentsburg. We arrive at Longyearbyen by midnight and spend the night on board. Our expedition ends and the participants may go home. You can book the early morning a flight from Longyearbyen. If you decide to fly from Longyearbuen later in the day, you can store your baggage on board, but you will have to leave the ship after breakfast before 9.00 a.m. You should pick-up your bags not later than 2:00 p.m.
Mike Reyfman is a professional nature photographer, specializing in the Polar and sub-Polar regions of the globe. 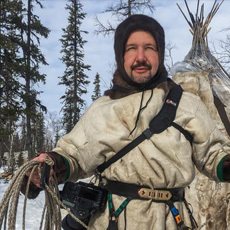 Mike is a passionate traveler, teacher, and adventurer and has been leading photography tours and workshops since 2005. Dmitry Arkhipov is Russia leading nature photographer. 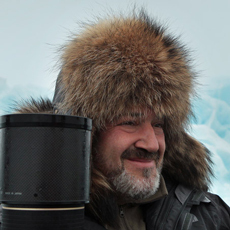 He has been leading photography workshops in the Arctic regions of Svalbard and Greenland for a number of years. Both guides will be available for photographic instruction throughout the expedition. There will be informal lectures and masterclasses on board the ship at various times throughout the expedition. *Cabin are assigned on the "first-come, first-choose" basis. **In the uncertain, often volatile oil market, it is difficult to predict long-term fuel costs, and more specifically, costs at the time of the voyage. Our prices are based on the prevailing fuel rates at the time of the publication, which is well in advance of departure. While we will do everything possible to maintain our prices, if fuel prices increase significantly at or before the time of the voyage, it may be necessary to institute a fuel surcharge. Usually surcharge (if necessary) is not more than $350 per person. This expedition is classified as of "medium complexity". To tell the truth it will be a comfortable and pleasant trip. There is no long trails with backpacks, sleeping on a glacier in the tents or climbing the icefalls. We classified this trip as of medium complexity only because we respect The Arcticand due to the fact that we are travelling in winter, when the air temperature can drop significantly below the freezing mark.and due to the fact that we are travelling in winter, when the air temperature can drop significantly below the freezing mark. The archipelago is situated far beyond the Arctic Circle between 74° - 81°N and we decided it is improperly to classify the expedition there as easy at least in Nobile, Amundsen and other Arctic pioneers memory. 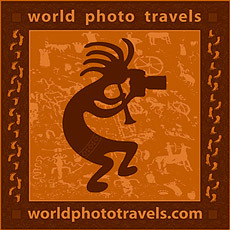 Registration is completed when World Photo Travels (WPT) has received the initial payment of US$ 2500 per person. along with a signed booking form. The final payment must be made on or before September 9-th, 2018. The entire participation fee shall be paid in full within five business days in cases where registration is completed later than September 9th 2018. No refunds are made to participants who do not complete the expedition (or in cases where a participant withdraws from the expedition prematurely), regardless of the reason. WorldPhotoTravels reserves the right to cancel an itinerary before departure for any reason whatsoever, including too few participants or logistical problems such as strikes, wars, acts of God, or any other circumstances which may make operation of the trip inadvisable. All trip payments received will be promptly refunded, and this refund will be the limit of WorldPhotoTravels liability. WorldPhotoTravels is not responsible for any expenses incurred by trip members in preparing for the trip, including non-refundable or penalty-carrying airline tickets, special clothing, visa or passport fees or other trip related expenses. *We understand that unforeseen circumstances may force you to cancel your participation in our trip. Please let us know as soon as possible if you have to cancel and we will try to find replacement on your spot. The full refund will be issued if we/you will find a full-paying customer taking over your spot. 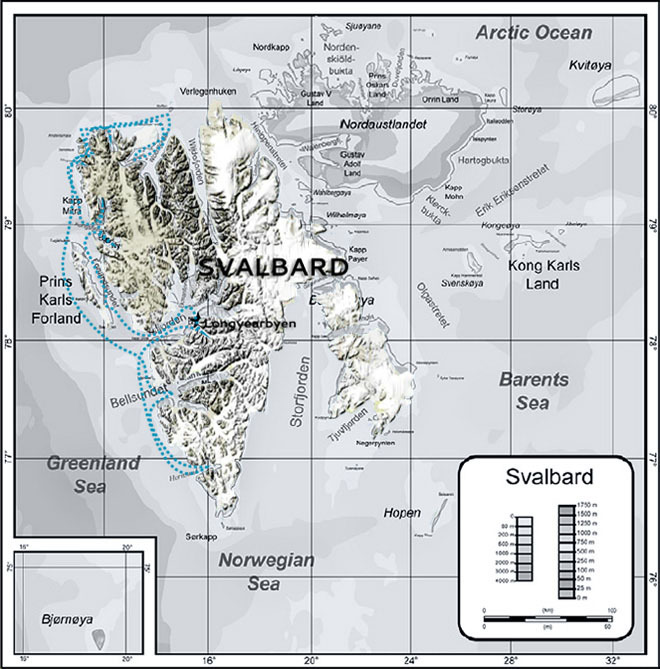 Svalbard is international territory, so remember that all foreign visitors must bring their passport on the trip. This also applies to Nordic people. Please check if you need a visa. We are not providing visa services to Norway or the EU, but are always ready to share with you our information and expertise. We also will provide you with all necessary booking-confirmations and itinerary in the case you do need to apply for a visa. Please note that the European or US Health Insurance Cards are not valid in the Svalbard Islands. It is therefore strongly recommended that all travelers purchase comprehensive travel insurance to cover trip cancellation, interruption, medical expenses and emergency evacuation/repatriation costs before you traveling to Svalbard. In case of a medical problem arising during the voyage, either on board or on shore, which results in costs for evacuation, use of aircraft or repatriation, the responsibility for payment of these costs belongs solely to the passenger. WorldPhotoTravel strongly advises that passengers ensure that such eventualities are covered by travel insurance. If not covered by travel insurance the responsibility still remains with the passenger and WorldPhotoTravel decline any responsibility whatsoever. We'll ask you to send us you insurance policy in advance. To register for the tour please fill the form below. We will notify you about availability and payment options. If there are no available spots, your registration will be automatically placed to the waiting list. Two lower and one upper berths, bathroom with shower, WC, sink, illuminators. One lower and one upper berth, sink, illuminators. WC and shower are next door.